Every year LVMH brands unveil exclusive new products that celebrate the summer season. Our 2015 tour features a different sun-drenched creation each week. Today, discover Arancia di Capri by Acqua di Parma. The Blu Mediterraneo collection was created as a tribute to emblematic places on the Italian Mediterranean, celebrating some of Acqua di Parma’s most precious scents. An inspiration for one of the fragrances, the island of Capri is a symbol of a carefree Mediterranean holiday, long a haven for poets, painters and notables such as Peggy Guggenheim, André Gide, Rainer Maria Rilke or Winston Churchill. Arancia di Capri is composed around orange, a luminous and sun-drenched fruit whose blossoms radiate the unforgettable scent of the island. 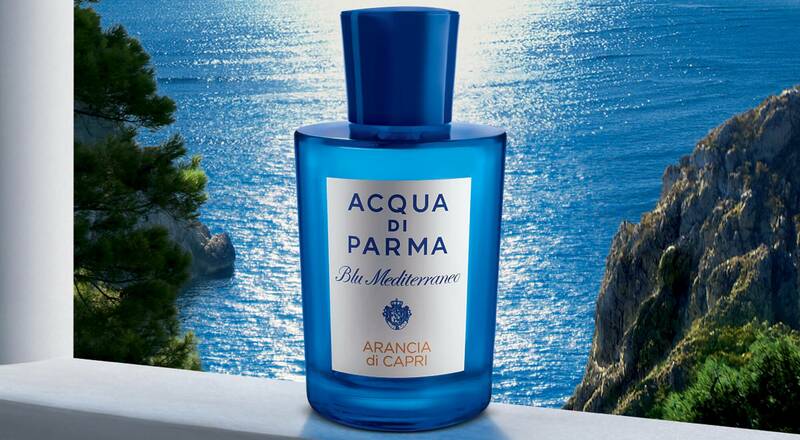 Acqua di Parma melded citrus and spices to recreate the unmistakeable atmosphere of Capri’s luxuriant gardens. The top note of lemon segues into the softness of orange and mandarine. A touch of cardamom prolongs the enveloping scents, their softness synonymous with Mediterranean hospitality.